Home » Food Musings » Mediterranean Diet Better For Your Health? There was an article in the NY Times recently that recounted results published in The New England Journal of Medicine in regards to a Mediterranean diet and its effect on heart disease and strokes. 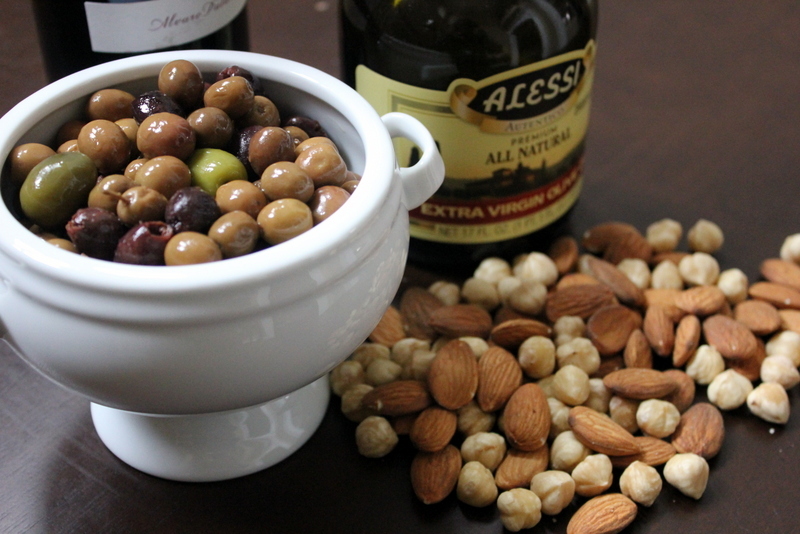 Three groups were studied; one followed a low-fat diet, the second followed a diet that included at least 4 Tbsp of olive oil a day, and the third ate about a quarter cup of nuts each day. Though you may think that sounds like high fat intake, nuts and olive oil are good fats – monounsaturated fatty acids – rather than the killer saturated and trans fats we’ve all heard so much about. In addition to these Mediterranean supplements, the second and third groups were instructed to eat fruits and vegetables daily, fish and legumes each at least 3 times a week, and white meat rather than red meat on occasion. They were even permitted to have one glass of alcohol per day. The first group simply followed a “low-fat” diet. Well, guess what? The Mediterranean diet was successful! Even though the first group was following a low-fat diet, their choices may have been high in sugar and salt, which can lead to obesity and heart problems as well as high blood pressure. They may have also been ingesting many processed foods, something of which Americans are quite guilty. This so-called Mediterranean diet simply focused on a balanced diet, in moderation. As Michael Pollen boiled it down in In Defense of Food, “Eat food, not too much, mostly plants.” While loading up on the good fats so often found in Mediterranean food certainly can’t hurt, be sure you’re not skimping on those fruits, veggies, fish, and beans, too. Oh, and don’t forget the wine. Hi Becka! You should check out Catching Fire: How Cooking Made Us Human! think you’d love it. And no, it is not the Hunger Games book. xo!